About Me: Hi, I'm an upstate New York photographer/journalist. 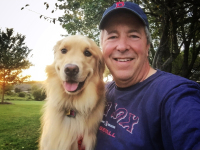 My wife, Cheryl, and I have a passion for nature and animals, especially Golden Retrievers! My Interests: Camping and getting back to the basics.